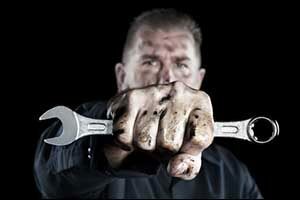 The best thing you can do to get the most out of your car repair tools is to learn how to properly care and clean them. This will help to protect them from damage, such as corrosion, and extend the number of years that they will be useful for home repairs, auto repairs, and maintenance. While some tools can be used for both the home and the home auto shop, there are quite a few that are designed specifically for automotive repairs. You can get your hammers and plumbing wrenches down at the local hardware store, but if you need tools, auto parts and service in Fall River and the surrounding area, then you can trust LaCava Brothers Auto Supply to have what you need in stock. Basic hand tools, such as screwdrivers, wrenches, pliers and other non-battery or non-electrical tools require just as much care as car repair tools that have more mechanical working parts. Unfortunately, many of these tools get tossed aside or left out in the garage, exposed to chemicals and the elements. It is important to take good care of all your tools, putting them away in your tool box or case after every use. If they come in contact with any type of Fall River, MA car parts, cleaning fluids, or automotive fluids, make sure to clean and dry them before putting them away. These tools are often very tough and are typically made from non-corrosive materials or have been treated with anti-corrosion finishes, but no tool is 100 percent indestructible, so it is important to treat them with care. Have a shop towel or rag available to use for wiping down tools after each use. This will remove any dust, debris, or grease. While wiping them down, inspect your tools for any defects or damages. Splinters in wooden handles, breaks in plastic casings, and rust in the metal can mean that your tools need repair or that they need to be replaced. Never use tools that need to be repaired until the repairs have been completed. Car repair tools that are broken can lead to serious injuries. 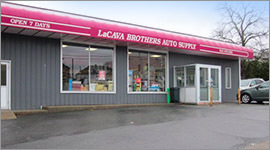 Visit LaCava Auto Parts and Service in Fall River for quality tools at affordable prices. Use an all-purpose oil to provide proper lubrication for tools that have adjustable parts. You can even do a light spray on other metal tool parts, but be sure to avoid spraying on the handles. This includes car repair tools, as well as household and garden tools. Use a rag to wipe away any excess oil before you store to help protect against rust and corrosion. Rust removal products can be used to get rid of any signs of rust that might be already appearing. Once you remove the rust, clean the tools and protect them with the all-purpose oil before storing away properly again. When you purchase brand new car repair tools or auto parts and service in Fall River at Lacava Brothers, make sure you also have a place to properly store those tools. Cleaning and care is important, but a proper storage system is essential. Whether you use a specialized tool cabinet, tool box, shelving unit, or other type of storage container, just make sure that you place it in an area where it will get minimal exposure to temperature changes and moisture. This will help to further protect your tools from rust and damage. Dust, dirt, and grime can cause a lot of damage to tools, but moisture and extreme temperatures can be even more dangerous. Whenever possible, keep tools in their original cases and then tuck those cases away in storage drawers, closets or tool chests so they can maintain a fairly controlled environment and be easy to find when you need them. If your power tools or other complex tools come with an instruction manual, make sure to keep them on hand in case you need them in the future. Store with your tools or create a binder that houses all of your manuals in one easy-to-find place to protect your Fall River, MA car parts, tools, and accessories. If you live in the South Coast region and are in need of quality car repair tools, auto parts and service in Fall River, make sure to stop by our location. We have everything you need to make repairs, properly clean, maintain, and service your car or truck. Give us a call at 508-676-1951 or stop by our location on Bedford Street in Fall River, Massachusetts.